The USDJPY extended higher but did find sellers leaning against the 200 and 100 hour MAs (green and blue lines — See post here). Those MA come in at 108.315 and 108.371 respectively. The high reached 108.35 — between the levels. 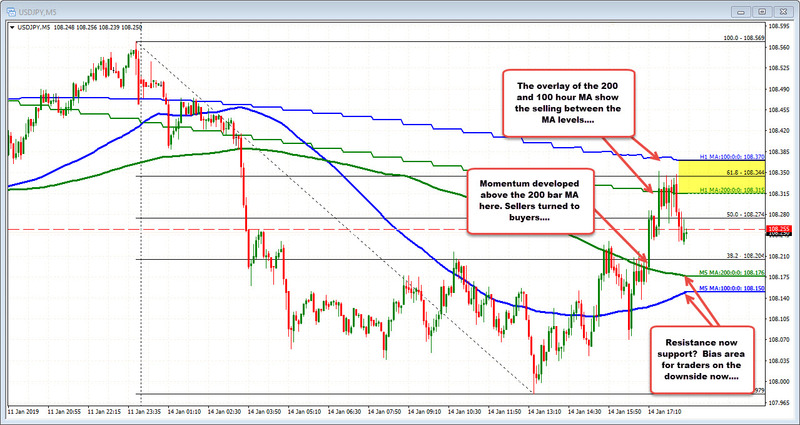 As mentioned in the earlier post, the 200 bar MA on the 5-minute chart was broken. That opened the upside up for more probing, but as exepcted the MAs stalled the run. 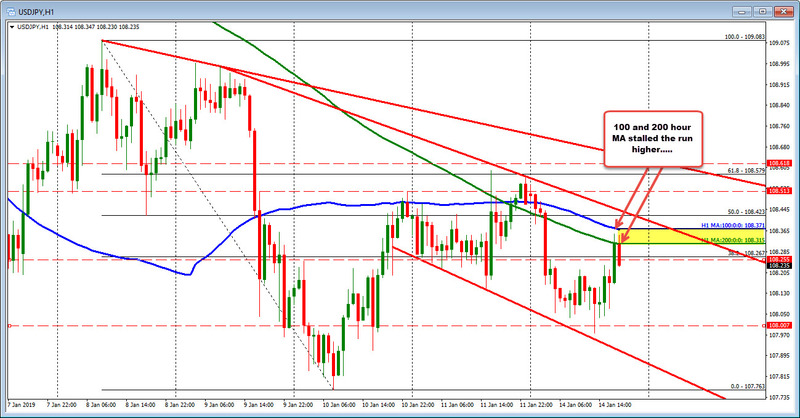 The lower MAs on the 5 minute chart at 108.17 and 108.15 will now be eyed for support.